Oru Adaar Love: Priya Prakash Varrier’s Lucky Stars To Work For The Movie? The smile that has blown away numerous minds and is trending in social media belongs to the Malayalam Actress “Priya Prakash Varrier”. The teaser of her debut movie “Oru Adaar Love” has created quite a sensation online and hardly been missed by any person. This 30-seconds short video or teaser involves her flirting with her classmate while signalling sweet romantic gestures with her eyes. These gestures are nothing more than just a smile and a wink that has captured the hearts of the entire country. Originally it was just the promotion of her movie online, but the responses that the actress has received is quite phenomenal. Just a couple of days and the popularity of Priya Prakash Varrier has skyrocketed. Now everyone is searching about her online to know who is she and what this uproar is all about. According to “Priya Prakash Varrier” available birth details, she was born on September 12, 1999. According to Numerology, her Numerology number is 3 and Lucky Number is 4. But I personally feel that these details are incorrect as one cannot attain this huge success with the combination of these two numbers. According to her Name Number, which is 9, her Lucky Number 4 may create problems for her Though, it doesn’t seems an issue anymore. Movie “Oru Adaar Love” Name Number is also 9, so its popularity is the result of Priya Prakash Varrier’s fame. This signifies that Priya is getting the support of her Lucky Number in addition to Name and Numerology Number. If we take her birth date an year back, all the details are fitting perfectly here as well. This means that if we suppose her birth date to be September 12, 1998 instead of September 12, 1999, then her Numerology Number and Lucky Number will both be 3. And this will get her the support of her Friend Number, making things smoother for her. The video clip that has popularized this Malayalam actress was first released on February 9, 2018 on YouTube. The Numerology Number and Lucky Number of that day was 9 and 4. Though number 9 and 4 are not associated in a friendly manner, but number 4 is quite helpful in creating an online sensation for a native. The date Number 9 supported the Name Number 9 of Priya, thus promoting her video online. And the presence of Mars and Rahu has also helped in spreading it like a wildfire online. How exciting will be Priya Prakash’s movie “Oru Adaar Love”? Now let’s take a look at how her movie will turn out to be as per Numerology. “Oru Adaar Love”, whose Name Number is 9, is favourable in regard with Numerology Number, Lucky Number and Name Number of Priya Prakash Varrier. Therefore, her role may prove to be lucky for this movie, though for this to happen the releasing date should be favourable as well. As per current facts and details, the movie may release on the occasion of Eid, i.e. June 14, 2018. The Numerology Number and Lucky Number of releasing date is 4. This means that the date is quite normal as compared to Priya Prakash Varrier’s online popularity. However, the movie’s Name Number and lead actress’ Numerology Number, Lucky Number and Name Number will captivate the interests of viewers. But, due to the lack of support of the releasing date, the enthusiasm with which viewers will enter the cinema hall may die a slow death. Other lead character of the movie, actor Roshan Abdul Rauf has Name Number 6 which synchronizes with the releasing date. Therefore, his role will also captivate the audiences. Director Omar Lalu Name Number is 5 which is also in harmony with the releasing date. So, his work will also be appreciated by the people. All in all, movie will make a good business. 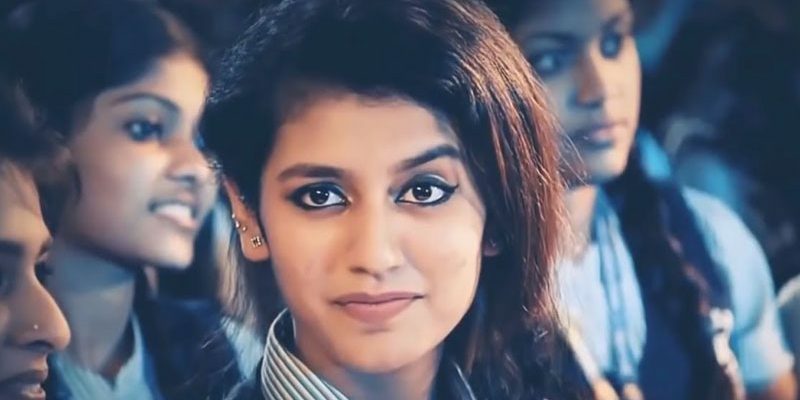 Though releasing date indicates that the sensation Priya Prakash Varrier has created through her video, the audience has started expected too much from the movie. However, there are chances that movie may not be quite as promising as expected. And the same goes for Priya Prakash Varrier as well. Still we hope that the movie will not disappoint the audience. According to its genre, we can give it 3.5 stars out of 5 before the movie is released.